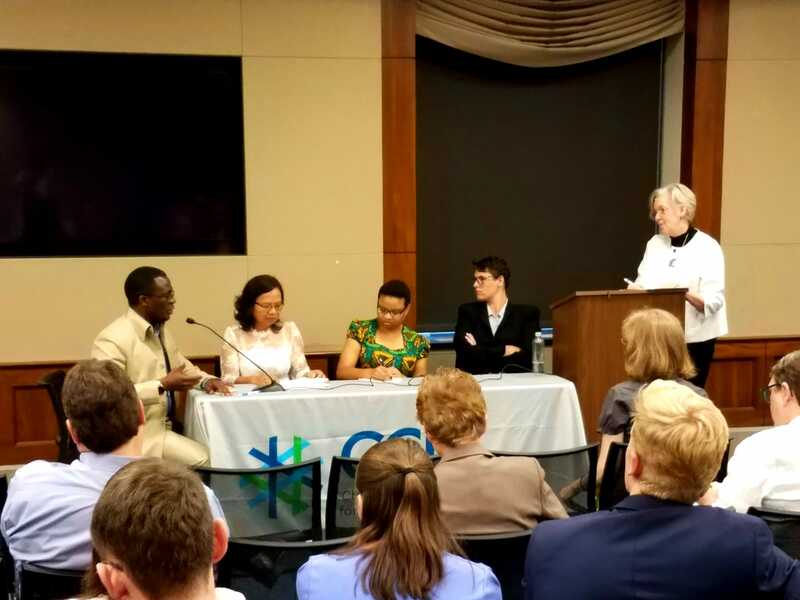 CCIH held a briefing on Capitol Hill on Healthy Families and Communities and the Role of Faith Communities on July 17, 2018 following the CCIH Annual Conference and Advocacy Day. The briefing was moderated by Dr. Alma Golden, Deputy Assistant Administrator, USAID Bureau for Global Health (shown at the podium in above photo). Representatives of four CCIH member organizations shared their work to protect the health of mothers and children.